You’ve seen them in bakeries, you’ve tasted their sugary sweetness, and now you can make your very own gourmet cake bites, cake balls, and cake pops right in your kitchen! Cute and creative, cake bites are the perfect way to celebrate anniversaries, birthdays, and holidays. And starting from a cake mix makes these recipes so easy you can make any day a special occasion! I’ve had the opportunity to sample three different varieties of Wendy’s cake bites fresh from her own making and let me tell you they are a little bit of heaven. They look like a truffle but inside lies a surprise mix of cupcake and icing. When I got her newest cookbook int he mail the first thing I noticed was the spiral binding which makes it easy to keep the book on the page you need to reference while cooking. The other thing I LOVE are the photos! The photographer, Marielle Hayes has done an amazing job capturing the cupcakey creations with colorful backgrounds and sharp images. I get a lot of books that come through my mailbox, but when this one arrived it was an instant favorite. My children usually have no interest in much that they see but with visually stimulating and yummy looking treats they are begging me to bake. We can’t wait to try the Spring Flowers cake bite pops. Wendy’s broken the cookbook into four sections: fruity and fabulous, the sweetness of chocolate, holiday treats,and the icing in the little bites. With recipes for delicacies like Key Lime Pie, dark chocolate truffle, southern red velvet and root beer float bites you can’t help but feel your mouth water. If you’re a fan of cupcakes you simply must try Wendy’s bites! 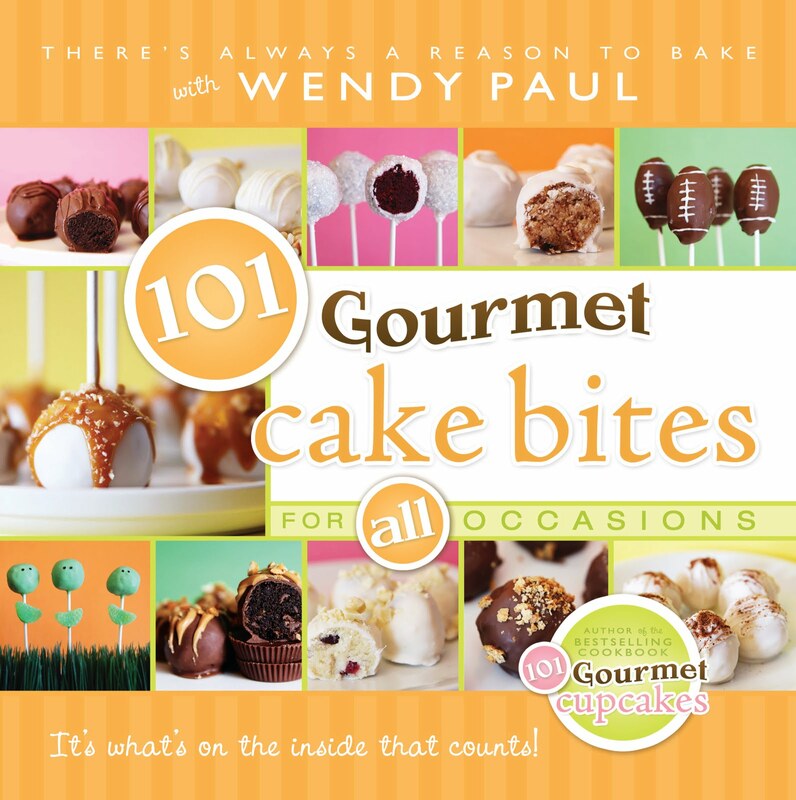 Learn more about the 101 Gourmet Cake Bites here. 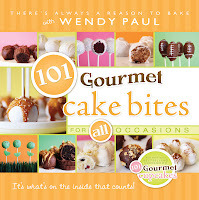 About Wendy Paul “I’m a wife and mother residing in the great state of Utah (I hav e never been skiing…) who decided to write a cupcake cookbook, 101 Gourmet Cupcakes in 10 Minutes. I have always loved to bake and cook, spending countless hours in the kitchen. It is cute, fun, and easy, even for the most novice baker. Your family and friends will be amazed with these delicious creations that you can bake for any occasion. My 3rd book, came out in August 2011- 101 Gourmet Cake Bites…. From time to time, I’ll post sneak peaks at the writing, baking and creating process. There always is a reason to bake! I won an autographed copy of Sean Griswold’s Head on twitter…well not his actual head, but the book about his head. And, in correspondence I noticed was how genuinely nice author Lindsey Leavitt is. Her cute and tender story tugged at my heart strings. Payton is a straight A student, slightly obsessive compulsive and highly organized person until one day she accidentally stumbles upon her father’s MS. Life at home and the world is unraveling fast. Payton is recommended to the school counselor by her parents who suggests she pick a focus object to write about…something to get her mind off of the grief and fear. What better than the head of the boy sitting directly in front of her desk? Blonde, with spiky hair, a scar and an orbit bigger than the average noggin. 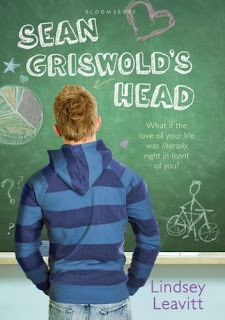 What starts out as a purely scientific self-help project ends in Payton wanting to learn more about the boy, Sean who is attached to that head. The two begin biking together and in the process discover there may be more to their close proximity than just their last names. Both are facing meddling best friends with an agenda of their own. Leave it to Peyton’s overbearing bubbly BFF since birth, Jac and the goth vampire of the town to complicate matters. Sean and Payton may not work out after all. 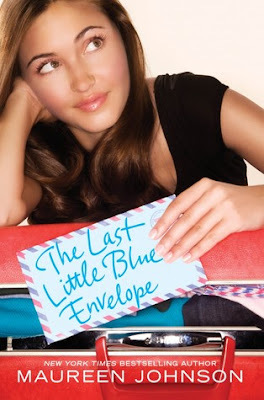 In a sweet, fun contemporary read, Lindsey Leavitt taught me about the power of forgiveness and overcoming personal roadblocks. This is a book I would recommend to all readers over age 12. Lindsey has generously donated two author signed bookmarks to our blog followers. Simply comment below to enter. Open internationally and ends April 15, 2011. Camelia and Ben have discovered a powerful bond: They both possess the power of psychometry, the ability to sense things through touch. For Ben, the gift is a frightening liability. When he senses a strong threat or betrayal, he risks losing control and hurting people. Camelia’s gift is more mysterious. When she works with clay, her hands sculpt messages her mind doesn’t yet comprehend. I will admit that Laurie Faria Stolarz has me wrapped around her finger with the Touch series. The covers are a little piece of heaven with raised designs and otherworldly photography. They are among my very favorites in YA. Laurie’s writing has the suspense the tension and the characters I can’t get enough of. 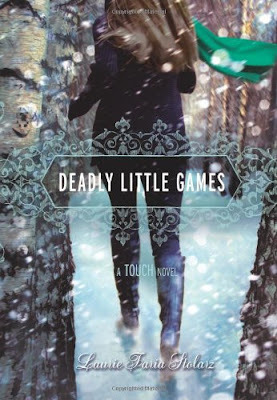 Deadly Little Games follows many of the same plot patterns as the first two in the series but I was never bored. There’s just the right touch of creepy and mystery for me. In this third installment Camelia has discovered her psychometry and the ability to sculpt events of the future into clay. Things are rocky between her and Ben due to the appearance of his old rival Adam. I grew to really love Ben (again). He has depth and layers that I have a feeling are about to unfold even further in book #4. I got carried away into Camelia’s life with a health nut yoga teaching mom, her quirky sidekick best friends Wes and Kimmie and a truly caring father. Stolarz knows how to fully flesh o ut each person she introduces. There’s also more back story of her maternal aunt and the haunting gift she and Cameilia share. The elements that tie off the package for me are all of the pottery scenes and the gripping suspense. I will be reading book #4, as far as I’m concerned Laurie can just keep writing in the Touch sequence and I’ll never grow weary of Camelia and Ben. Here’s your chance to start reading the Touch series and discover for yourself why I adore them. 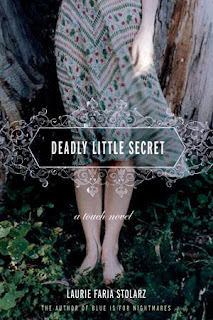 Comment below for your entry to win book one, Deadly Little Secret. Giveaway ends February 28, 2011 and is open internationally. Summary: Princess and heir to the throne of Thorvaldor, Nalia’s led a privileged life at court. 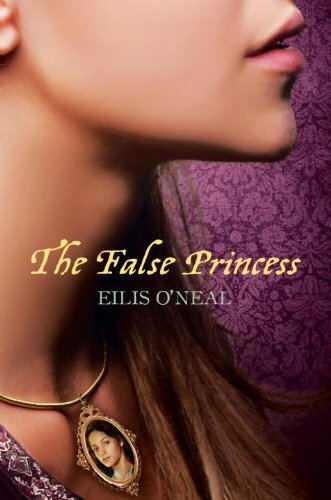 But everything changes when it’s revealed, just after her sixteenth birthday, that she is a false princess, a stand-in for the real Nalia, who has been hidden away for her protection. Cast out with little more than the clothes on her back, the girl now called Sinda must leave behind the city of Vivaskari, her best friend, Keirnan, and the only life she’s ever known. The False Princess was a pleasant surprise for me. I picked it up expecting just a fairy tale and finished it thinking, “I REALLY like this book.” Eilis O’Neal is a strong storyteller. First off, I’m glad the cover image for the final book is different from the first ARC cover which I didn’t care for much. This one is much more appealing. (My copy looks similiar to the CD cover image) Despite my initial hesitation, once I got past the first page of The False Princess I did not put it down. The fantasy begins with Nalia, princess of Thorvaldor and her childhood friend Kiernan seeking for a hidden gate in the surrounding palace walls. Nalia is sixteen, quick to trip over herself, shy and some what quiet. Kiernan, her sidekick is a tease, quick witted and constantly happy. The two are inseparable. That is,until, the King and Queen make an announcement that Nalia is not really the princess but merely a stand in- an imposter, switched at birth. Nalia’s role was to protect the real princess who lies hidden away to avoid a prophecy that she would be killed. Now Nalia must step down from her acting role and become nothing more than a mere commoner, Sinda Azaway. Sinda is pushed from King’s court to live with her aunt in the tiny village of Treb. Her one living relative is cold without affection for Sinda. Feeling completely alone, Sinda turns to a local boy Tyr with his “unruffled smoothness and silky voice.” All the while Sinda has two new emotions raging inside of her. A force welling up that she does not understand a longing for what she left behind in the city…Kiernan. If he is truly just a friend why did she feel so conflicted? Sinda’s inner conflict plus a breach of trust by village boy Tyr lead her back into the city of her royal upbringing- Vivanskari. There a dangerous plot to usurp the King’s power and crown yet another false princess are unfurling. Who is the real heir to the throne? Can Sinda resolve her feelings of inadequacy to save her kingdom? There are so many twists that you’ll be reeling trying to keep all of characters straight. The one constant through the plot is Kiernan. He is a ray of sunshine. He stays with Sinda through all of her travels and is faithful to the end. I thought the plot was well paced and characters were interesting. Though I will say so many Princesses left little room for fully developed personas. I at times had a hard time identifying with Sinda because of her constant lack of confidence and blindness to Kiernan’s feelings. Her doubtful thoughts became a bit repetitive for me hence the 4.5 stars. 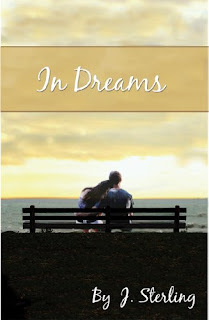 Overall, thought I was moved by O’Neal’s writing and the sweet spark of romance that develops. The False Princess is a winning pick for tween and teens who read fantasy. It’s a good match for readers who enjoyed Shannon Hale, Brightly Woven by Alex Bracken and The Secondhand Charm by Julie Berry. I will be picking up anything else written by Eilis O’Neal and will pass this book on to my children. Thanks to Egmont for sending me a copy in exchange for an honest review. Summary: The legend of the Ancillary flower has existed for centuries. Foretold to bring out the limitless potential of its bearer, the flower and the legend have been forgotten by many. Recently, strange events in a shrouded Tibetan town have sparked rumors among those who still believe. Jacob Deer is a quirky young man, bound for college, with an eccentric old librarian for a best friend, an obsession with sitting down in elevators, and a strange birthmark on his hand that’s shaped mysteriously like the markings on the Ancillary’s petals. When Jacob’s mentor Mr. Maddock reveals to him his connection with the legendary Ancillary, it sets in motion a series of events that sends Jacob and friends across the world. Alongside an alluring young woman, a marine-reject, and a Tibetan kid obsessed with comic books, Jacob must face off against a vengeful maniac for the fate of the flower, the legend, and all mankind. I really wanted to like this book more than I did but for some reason I just couldn’t connect with it. The first few chapters were interesitng as we are introduced to main character quirky Jacob. He strikes me as a bit of a social misfit…super intelligent maybe with a touch of Asperger’s. He is born with a mark on his hand that is much more than just a birthmark. The plot picks up as he and three others take of in an unlicensed airplane headed for Tibet to find a magical flower. Here’s where I started to have a hard time. Evil antagonist Marrow is also on the trail for the flower and after the first couple of chapters dedicated to his point of view, I skipped right over his sections. Marrow’s plot line was too violent and graphic for me. As for setting, I was also expecting more of the traditional Tibet I have come to love through photography and lore, but that was gone, as the small village they visit has been technologically advanced. I really enjoyed Sophie, the female protagonist and the idea of her old librarian grandfather Mr. Maddock. I found myself wishing more of the world building was done in Cob’s hometown with his childhood father-figure. All in all The Ancillary’s Mark didn’t come alive for me but it may for you! Here are some other reader’s positive opinions of The Ancillary’s Mark on Goodreads. The author Daniel A. Cohen is super nice and I’d like to give others the opportunity to read his book. So, I am giving away my author signed copy – it’s been read once with little wear. Simply comment below to enter. Giveaway ends January 29, 2011 and is open internationally. For ten years, a secret society has risen to power. They have infiltrated every facet of the federal government. They are powerful. They have extraordinary access to public funds. They have incredible technologies. And freedom is their nemesis. They have sought to destroy economic freedom, amass power to the federal government, and create mass dependency. They call themselves THE THREAD. And now, they are poised to destroy the Constitution and rise to power. But, on the eve of their burst into power, a copy of their plan falls into the hands of a young man in the Utah State Capitol building. A small group forms and comes to understand the plan of The Thread. And now, the race is on. Time is short and the group must struggle to preserve their lives, their nation, and freedom itself. It also contains a fantastic lecture series that powerfully conveys the principles of freedom. 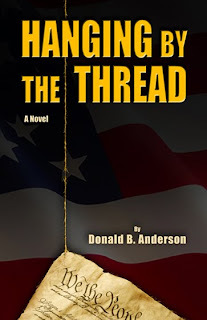 Hanging By The Thread is a freedom thriller that educates. Hanging By The Thread is an action packed page turner, perfect for those who read Tom Clancey. Mr. Anderson teaches important lessons in freedom and the Constitution. He also offers readers a tension building interesting plot. His style reminds me of a book ready to be made into movie- with the story a cross between Mission Impossible and Air Force One. An uncovered conspiracy threatens those who find it. It’s a race against the clock to get “The Thread” out into the open before someone else’s life is forfeit. Fans of financial independence and students of American politics will especially enjoy the lecture series in the final pages…interesting and intelligent writing with teachings that may change the course of America as we know it. Four weeks. Three roommates. Two dates each. Brighton Andrews has never had a problem getting a girl to go out with him. So when his friends dare him to ask out three roommates at the same time, he figures this will be the easiest bet he’ll ever win–even with the added clause that the girls can’t find out they’re all dating the same guy. And with a whole month free from laundry at stake, who could resist? Of course, that’s before he meets the girls. Rachael Renee Anderson’s charming Luck of the Draw puts a hilarious twist on a modern-day love story. Fast-paced, witty, and full of fun, the odds are stacked that this is one book you won’t be able to put down. 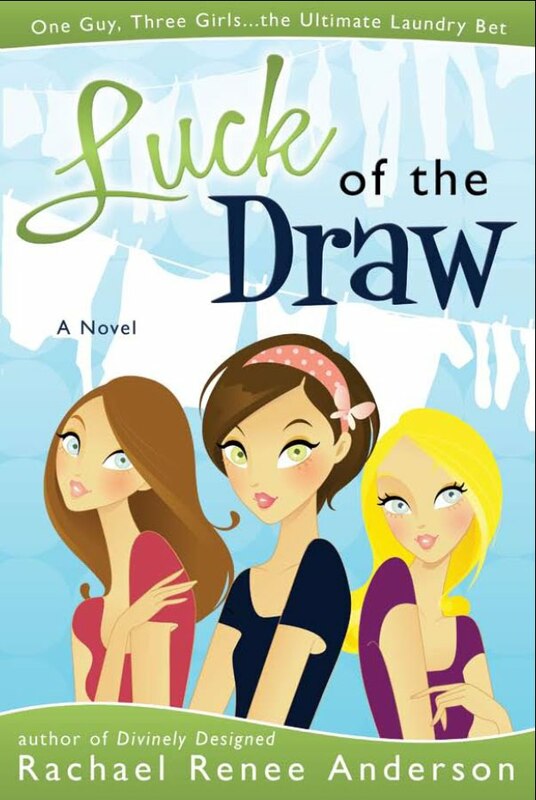 The first thing I love about Luck of the Draw is the cover. It reminds me of modern day, modest Charlie’s Angels. The second thing I love is the author. I stopped by her table at authorpalooza two weeks ago but didn’t have much time to chat. So, I was thrilled when she and her publicist sent me a copy of her book for review. Since finishing the book I have found out what an amazing person Rachael is. She’s down to earth, humble, and kind. I turned the last page on Luck of The Draw three days ago and still have not been able to enjoy anything else I’ve picked up quite as much. 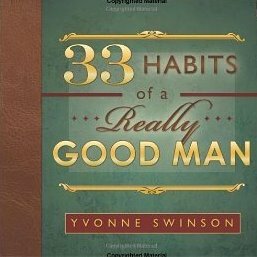 It has an underlying message and good feeling that will slowly seep in and wrap around you as you read. The plot starts out light and funny as a bet is made that involves laundry and girls. Brighton Andrews has his hands full trying to ask three girls out at the same time without them finding out they are dating the same person. His life gets even more complicated (and hilarious) when he accidentally plows Dani, one of the roommates, into the snow and finds out how feisty and stubborn a woman can be. The bet may not be as easy to win as everything else for Brighton…but he is bound and determined to win. 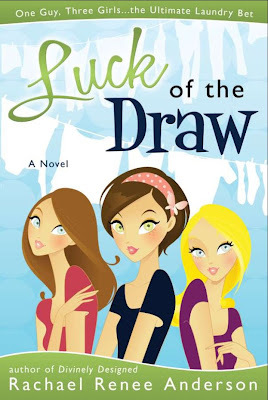 The plot to Luck of The Draw has lots of surprises, fun dialogue and lessons of life. What impacted me the most was seeing how Dani sticks to her guns and lives as she believes best in spite of her superficial parents. I also enjoyed how Brighton matures and changes after his laundry bet goes awry. Both main characters most learn to trust in something outside of themselves and follow their dreams wherever they may lead. 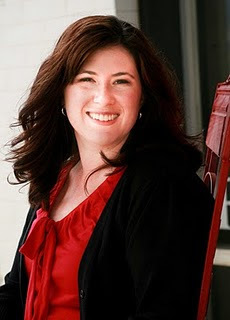 Rachael Renee Anderson has created a parable for our time and a fun read that will take you back to your college days. The characters will melt your heart and the message will bring you to tears. Five stars and a thank you for a squeaky clean read. This is one I will pass on to my daughters. I ordered her other book Divinely Designed and am excited to read more from Rachael. Enter to win a copy of Luck of The Draw on Goodreads here read an excerpt from the book here and visit Rachael Renee Anderson’s site here.